Things may have seemed a bit slow around here during our “holiday break ” but we were hard at work behind the scenes to bring you the most relevant and accurate information possible for 2010. We spilled some of the beans in our New Year ‘s BimmerCast about the E92/E93 Life Cycle Impulse (AKA- Facelift) but have obtained even more info from several sources to make things even a bit juicier. If you missed it, we even dropped a little morsel earlier about the 135 getting a dual-clutch transmission and the 2010BMW complete model launch plans. Those stories should have signaled more good news was to come, and it has. 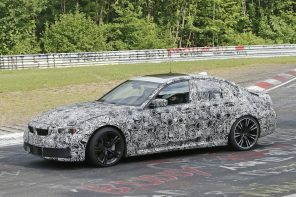 We do not expect an official announcement from BMWNA on the 2011 E92/E93 for several weeks but we thought that our sources were so rock solid that we could not wait for official confirmation or for the complete run down of changes. Even though this is technically a rumor, since an official announcement has not been made, we are extremely confident in what we do know, so here we go. First, things will get sportier- new bumpers, LED lights and slight interior tweaks. 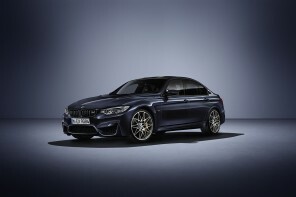 335i models optionally equipped with the M-Sport package or with the Sports Package will have 19 ” wheels, this is a step up from the current 18s. There will be new color choices on the exterior as well as the interior; including Anthracite Bamboo trim. Automatic high beam assist will be added to the option sheet like its 4 door siblings.These refreshed models will be some of the first to optionally offer the “pull/pull ” paddles (like ///M in the past) for transmissions without a third pedal, a feature we reported earlier to launch with the F10 5 Series. 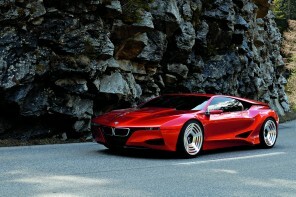 BMW did not stop there, there will be an “iS ” version(US exclusive model). This ultra sporty version will include a transmission choice of the DCT or a Sport Automatic as well as special styling and aerodynamics. Certain M Sport items, such as a steering wheel will be included. Expect similar engine tweaks to the inline 6 N54 twin turbo as have been found in the 7RR package on the X6 and of course the BMW Performance Engine Kit. We will update you as we hear more! Thanks to all of our friends and our steadfast sources for these tips. It’s nice to see BMW return to the iS nomenclature of the 80’s. I like the subtly of it as well. Of course price point is going to be interesting and one certainly has to consider the slightly used M3 market as competition as well.